Mowiol® 4-88 | Polysciences, Inc.
Mowiol® 4-88 is a high quality mounting medium for immunofluorescence and molecular biology applications. When hardened it has the same refractive index as immersion oil. If used for Immunofluorescence applications the addition of glycerin is recommended. 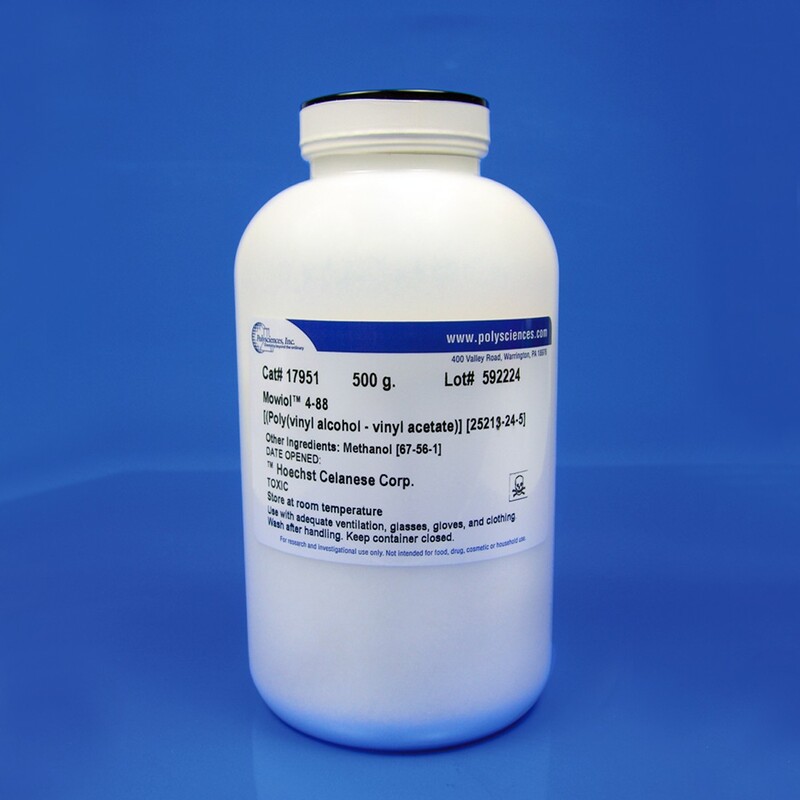 Mowiol® 4-88 can be made an anti-fade medium through the addition of p-phenylenediamine. This polyvinyl alcohol (PVOH; PVA) is also used as water-activated adhesive. Remoistenable adhesives are used in the paper processing industry, e.g. on the reverse side of postage stamps and labels.